Getting Wild on the wild dunes at Wild Dunes Resort — PJKoenig Golf Photography PJKoenig Golf Photography - Golf Photos For Those Who Love The Game. 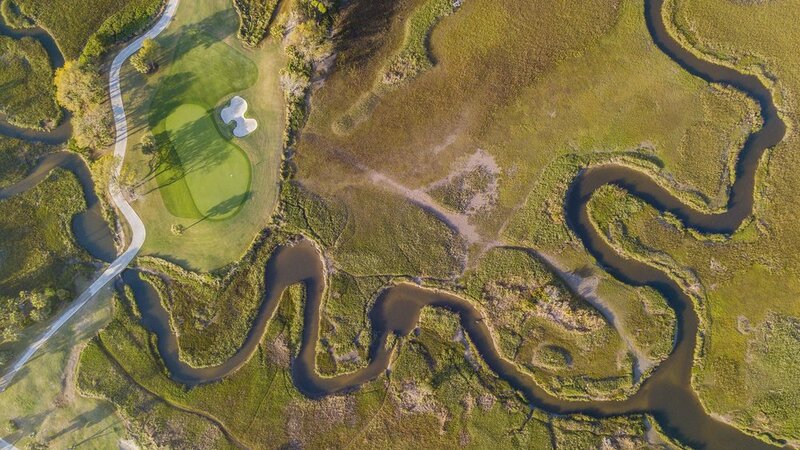 The 18th hole on the Links course at Wild Dunes in Isle of Palms, SC. 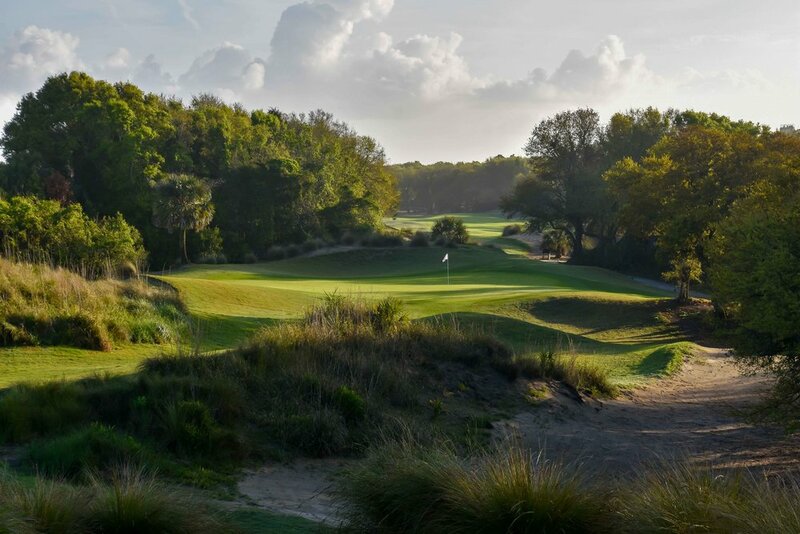 “You know, the 18th hole used to be a par 5?” said Jeff Minton, the Director of Golf at Wild Dunes Resort. I was fumbling around with my 8 iron as I tried to figure out the logistics. “What!? !” I replied. “Yeah it used to be a real beauty around that corner but the green eroded into the ocean last year.” “Well you guys certainly replaced it with a real dump of a par 3.” I replied sarcastically. “A real trash dump.” Jeff agreed. It’s kind of like if your husband Bard Pitt got sent to prison and you had to shack up with George Clooney instead. You will probably make due. The plan is to rebuild the 18th hole and return the par 5 to its former glory in the year 2020. As it stands now, you’ll just have to put up with one of the most scenic golf holes on the entire property. The 17th green leads you right into the finishing 18th hole on the Links course. The temporary par 3 18th plays at around 190 from the back tees. Throughout the Wild Dunes Resort property you will have your hands full of resort activities. From tennis to water sports, Wild Dunes Resort has you covered. You can pig out at Huey’s Southern Eats and then learn basket weaving if you want to. Or you can go to the spa and experience the “Bubbles and Bliss” package. I passed on the spa and the basket weaving but I did remember to pig out at Huey’s. I got the bbq chicken with the macaroni and cheese and it was spectacular. However, the real reason that I was on the Isle of Palms in South Carolina was to check out the golf. The 18th hole on the Links course from the tee box. 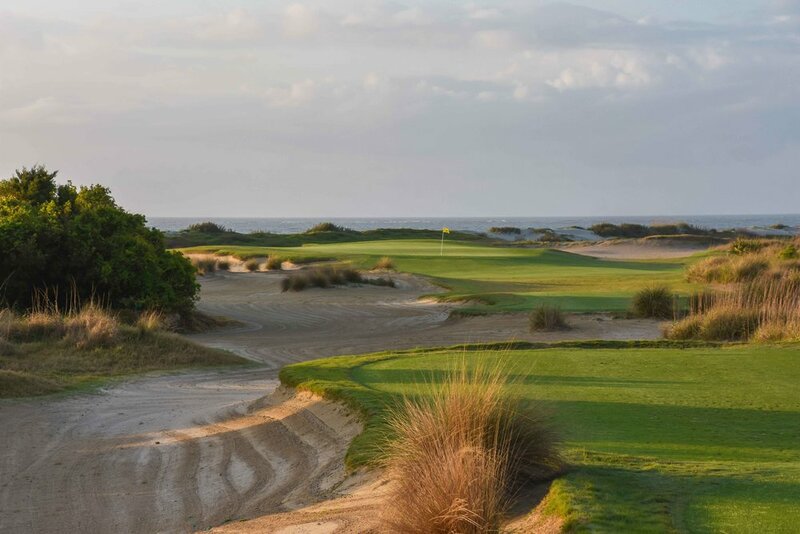 There are two golf courses that await the vacationing golfer at Wild Dunes Golf Resort, the Links course and the Harbor course.. Both courses were designed by Tom Fazio and The Links course is the more highly regarded of the two. When it opened in 1980, it was on the list as one of America’s Top 100 golf courses. The 16th on the Links course starts a 3 hole finishing stretch right on the Atlantic Ocean. Even though the Links course has the pedigree, I found the Harbor course to be the more challenging of the two. With small greens and tight landing areas, you need to have some control over that golf ball. When the wind picks up, you could be in for a tough but scenic scoring day. 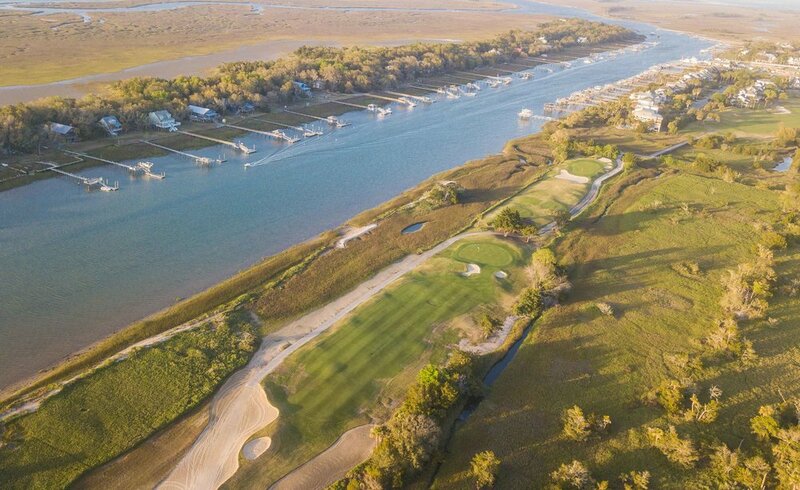 As you make the turn on the Harbor course, you will find a handful of golf holes that sit right on the intercostal waterway. These holes stand out in terms of aesthetics and make for a visually stimulating finish to the round. 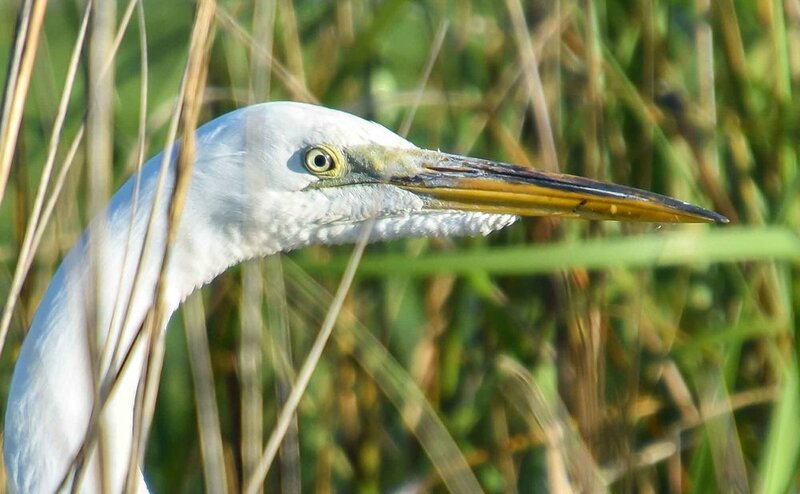 Along with the golf at Wild Dunes Resort, I also got a serious helping of wildlife. We saw several gators, egrets, and even some snakes. 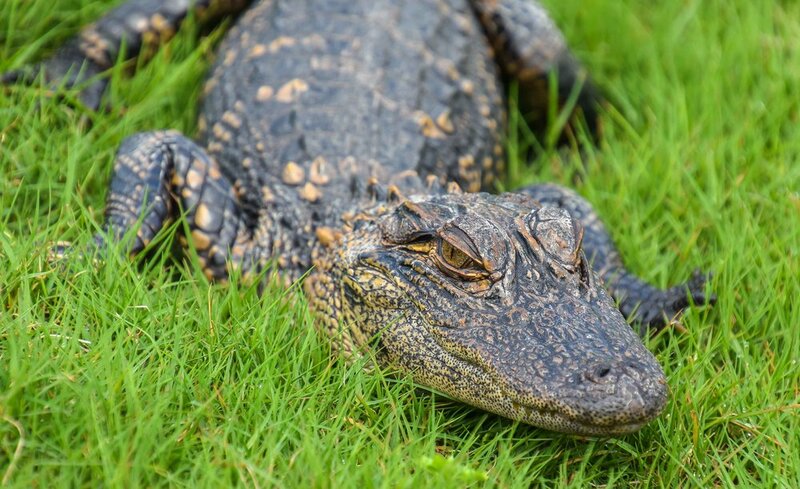 After hitting our tee shots on the 8th hole, one particular alligator grabbed my attention. I approached the prehistoric beast, I looked him dead in the eye, and challenged him to a wrestling match. Sensing my confidence, he turned and immediately jumped into a nearby pond. I do not recommend this strategy to amateur gator wrestlers. Since the resort is located directly on the Atlantic Ocean, I decided to take a break from the golf to spend some time on the beach. 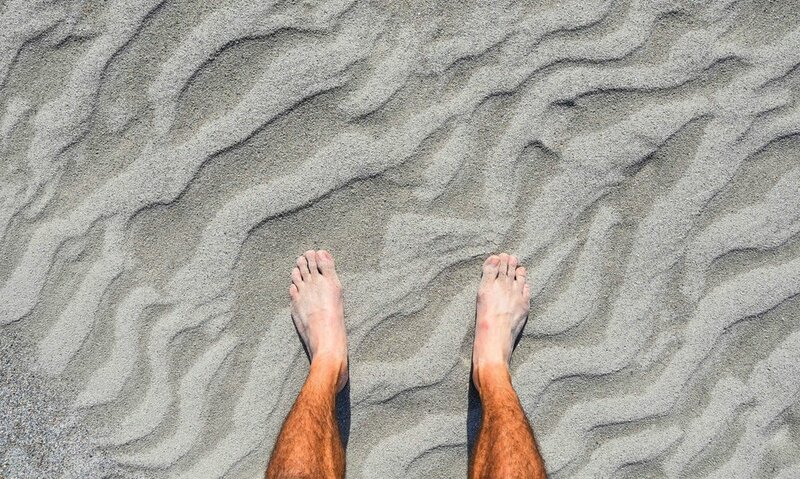 This was the perfect opportunity to work on my sand game and my golf tan. While my bunker game is in great shape, I fear that my golf tan game is beyond repair. Walking on the surface of the sun may be the only remedy for this disaster. Please accept my apologies for the jarring yet artsy image below. The 12th hole on the Harbor course. The sun sets on my Wild Dunes experience. My visit to Wild Dunes Resort was a brief one but the golf was as intense as my golf tan. If you are interested in learning more about Wild Dunes Resort give em a visit here.